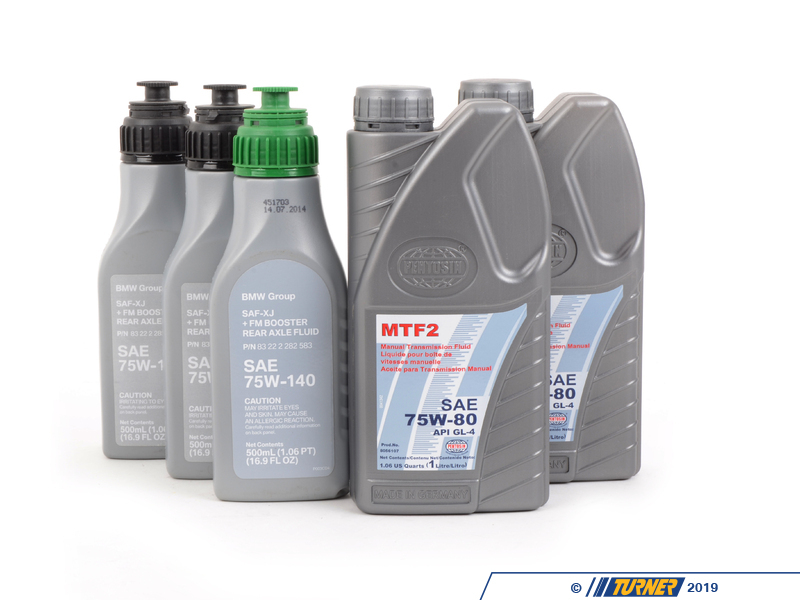 This package contains 2 liters of Pentosin FFL-4 transmission fluid (OEM equivalent to the BMW MTF LT2 oil - Product data sheet ) and 3 470mL bottles of SAF-XJ + FM booster differential fluid (75/140 weight). 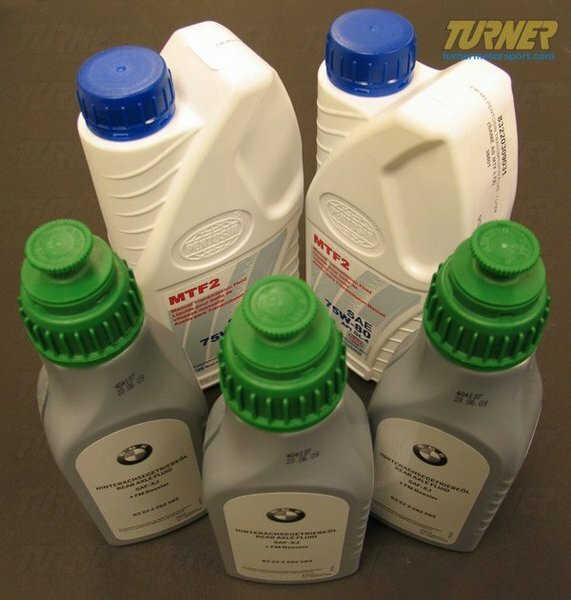 These fluids meet BMW specifications and are made in Germany. Equivalent to BMW part numbers 83 22 0 309 031 and 83 22 2 282 583. We sell this package for the 2001-2006 E46 M3 coupe, and convertible. Works in both the manual and SMG transmissions.